While Chimera virus is usually overlooked since it can cause no significant impact on the animal appearance, this time it made all the difference. 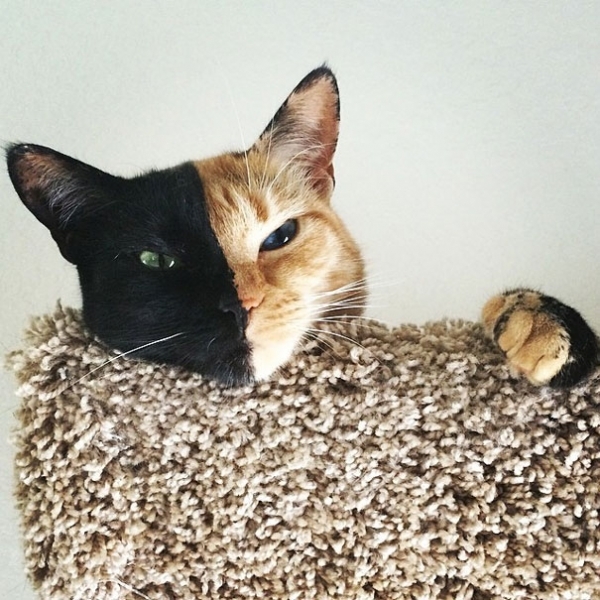 This gorgeous cat named Venus got her popularity on the internet due to her mysterious-looking "two-faced" appearance. 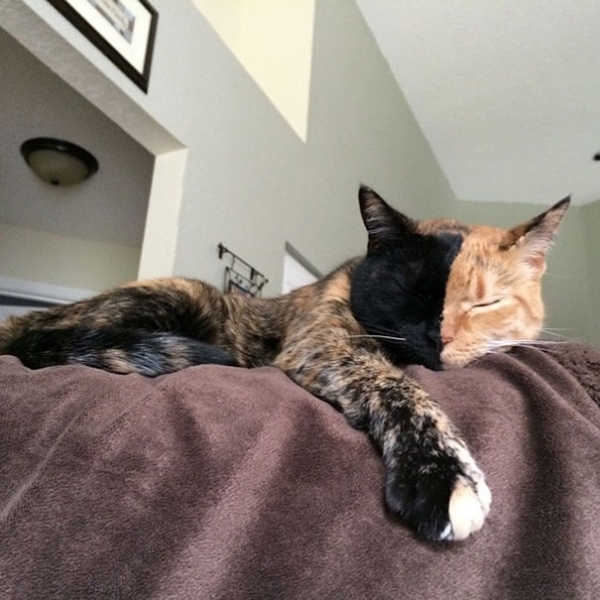 While she can look like a villain from a comic book, she's really an adorable and tame house cat that gets along with every piece of furniture, according to her owner. 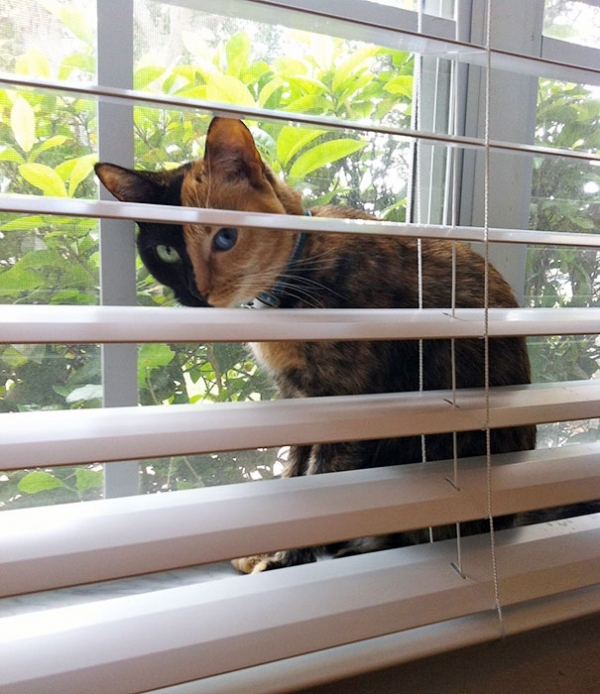 What do you like better: green-eyed or brown-eyed kitties? 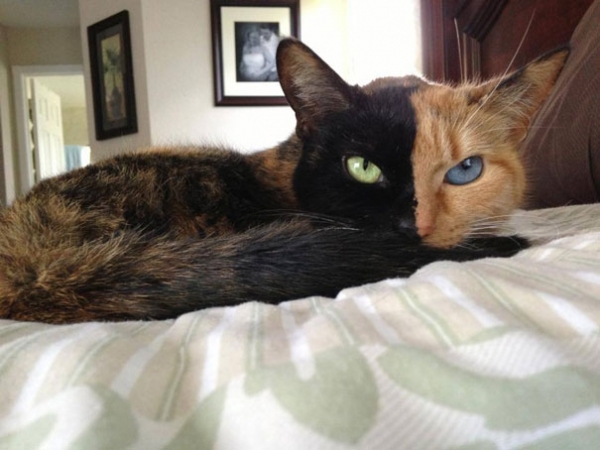 If you love cats, you’ll love this sweet kitty Venus for sure, because her two different faces - black and brown, and different eyes - blue and green, are interesting even for cat haters! Just look how cuddly she is, how she poses for photos like a professional model, how beautiful, smart and bright her eyes are…And why is she so interesting? Well, for a designer, she is interesting because of her sophisticated color and matching nuances of her fur and eyes with furniture and blankets; for a mathematician it is because of the axial symmetry for sure, especially on her „half-and-half“ nose; for a painter and a photographer because of her interesting and unusual ability to pose…But for many others, especially geneticists, she is interesting for having Chimera virus. 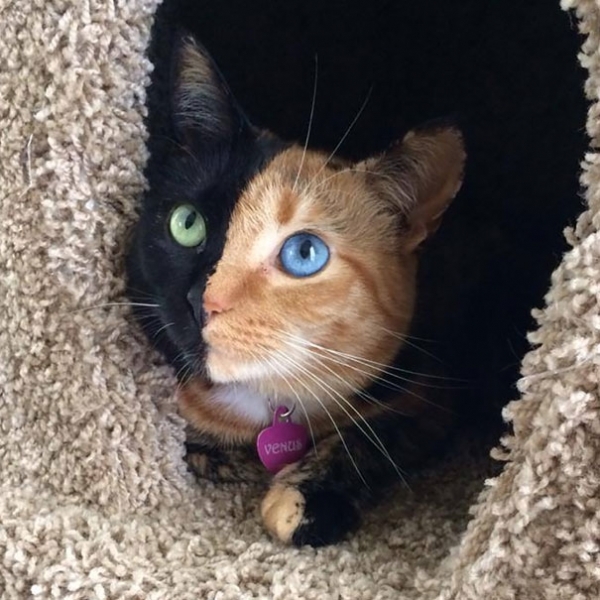 What is Chimera at all? According to Hesiod, Chimera had just three heads - of a lion, goat and dragon (or a snake). But all the same, it was really dangerous. It lived in a scary cave, resembling a volcanic crater, and it ate and burnt numerous people and animals with fire. Really heavy story, right? There are many more myths about Chimera - Nemean lion, Chimera’s offspring; Sphinx, Orthrus’ and Chimera’s daughter; Cerberus, Chimera’s brother with whom she was guarding the entrance into Hades underworld; monsters which were, according to Virgil, in the first Orc’s maw, together with Chimera.